In IP and digital world, user gain the benefit of efficient bandwidth. But in another hand, user lost original image detail. Afidus is the first company applies advanced “double scan sensor” which enhances Afidus IP camera featuring “True WDR (Wide Dynamic Range)” image quality. 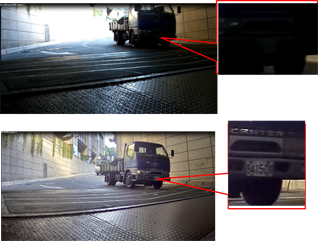 In a highly contrast environment, the sensor will double scan to get the sampling of darkness and brightness image. To reach the balance and not to over exposure. The wide dynamic range can achieve 100dB and more. Compare with BLC, WDR is a more effective alternative to BLC because it handles multiple exposure zones. It’s to determine the locations and sizes of human faces in images. It detects facial features and ignores anything else, such as buildings, trees and bodies. Face detection is used in biometrics base security system, It is also used in video surveillance database management. Afidus IVA combines “face detection” with “Event actions”: Face detection can be source to trigger event video sending, audio alert, and push notify to smart phone. A virtual wire is attached in a specific location digital image for detecting or reacting to physical movement. Normally tripwires are frequently designed for boundary control, whereby to cross the wire will trigger Afidus IP cam to take event actions ( action types can be defined by user). Tripwire is an important IVA function applied for railway track monitoring, transportation stationary monitoring, and parking lot counting (management) system. 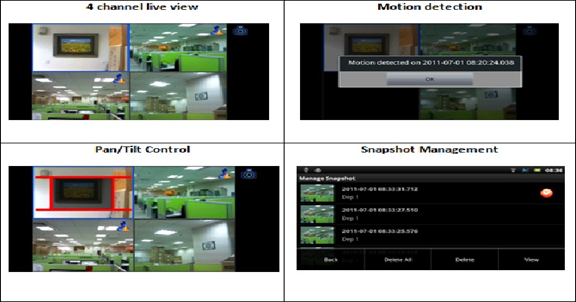 Camera Tampering monitors camera video and automatically detects camera failure or sabotage. Upon t detects any attempts to tamper with the camera – blocking the field of view, lose lens focus, or video loss. Camera sabotage/tampering interferes with monitoring by security personnel and automated video analytics products and prevents video archival for forensic purposes. Camera Tampering is a necessary feature and inside Afidus IP cameras. Built-in cutting edge, state-of-the-art SOC processing, AFIDUS develops User-define flexible AOIs for advanced, professional line cameras. In AOI area, the image quality will be higher than outside AOI read. See what you want to see. All Megapixel Cameras from AFIDUS equipped with an intelligent bandwidth saver– ROI. With ROI, only selected specific area/region in camera display will be transmitted to live view or recorded into video clips. The maximum clarity of the specific area can be preserved to meet various demands in surveillance scenarios. Afidus Cloud Service is a free-of-charge, friendly service for camera users. It provides a comprehensive way of camera installation, viewing, and management. Forget the complicated installation steps, just few clicks in web browser, camera installation is completed in minutes, no longer a naughty thing. Afidus Cloud Service is the ideal camera portal for your home, office camera network. With intuitive control design, and full-featured app, all AFIDUS cameras are now be able to enable remote view, control and take snapshots on your Android or iOS device. No matter it’s smart phone, pad, or tablet PC, the free-of-charge Apps enhance your security and protection anytime, anywhere! Combine with Afidus DDNS service, user can input either “Device ID”, or “IP address” to add cameras to smart phone apps.